The contrasting voices of two Catalan composers, friends in life, now joined together in recording for the first time. Federico Mompou was the shy post-Romantic, Roberto Gerhard the gregarious Modernist. Quite unalike in personality, in artistic aims and language, the two nonetheless held each other in high esteem. Like so many other composers, Mompou began to write guitar music having met and been inspired by Andres Segovia. This friendship principally yielded the six-movement Suite Compostelana. 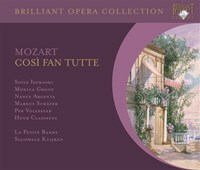 A Baroque construction enclosing a flowing, arpeggiated Prelude, a crystalline Chorale, a searching Recitative and a deftly embroidered Cancion, the Suite is entirely original in its themes with the exception of the joyful stamp of the finale which is based on the Muiñeira de Lugo, a typical Galician dance usually played on a form of bagpipe known as a gaita. In complement to the Suite Compostelana, Marco Ramelli adds a pair of the Cançons i danses, transcribed from the piano originals for solo guitar. These poetic miniatures, mostly gentle in mood, were a kind of diary for Mompou, compiled one by one throughout his career. Their reserved Impressionism perfects a particular personality belonging to ‘The Spanish Guitar’. 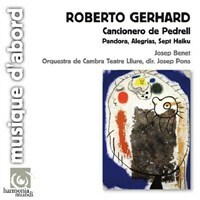 Roberto Gerhard brought its more extrovert side to life with a sequence of incidental music written for a TV adaptation of Ernest Hemingway’s novel For Whom The Bell Tolls – made in England, shortly after the composer had moved there as an exile from the Spanish Civil War. For this recording, Marco Ramelli has used a guitar built in 1931 in Barcelona by Francisco Simplicio, one of the most important Catalan luthiers. 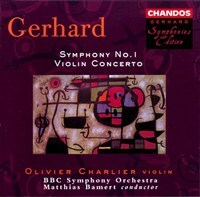 Its intense and raw sound forms a native counterpart to both the poetic moods of Mompou and Gerhard’s dissonances. 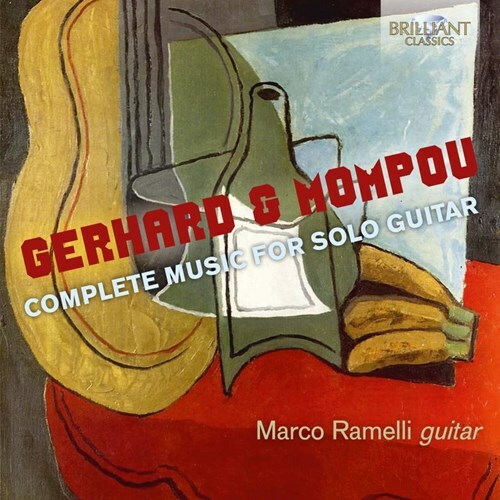 This recording brings together the complete solo guitar music of two of the most important Catalan composers of the 20th century: Federico Mompou (1893-1987) and Roberto Gerhard (1896-1970). Two different musicians with a strong personality, profound and charismatic who developed a personal and individual language in 20th century Spanish music. Despite (or because of..?) their diversity in character and musical style they were close friends, working together on several occasions. 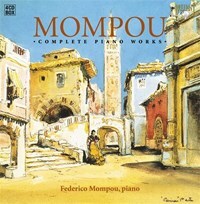 Mompou’s music is the “Music of silence”, reflective, intimate with a tinge of melancholy (“less is more”), Gerhard’s music is more expressive, especially in his setting of Hemingway’s “For Whom the Bell Tolls”, depicting the horrors of the Spanish Civil War. Marco Ramelli is an Italian guitarist and composer, he won the prestigious World Guitar Composition Competition in Serbia. He plays a 1931 Francisco Simplicio guitar, one of the most important Catalan luthiers. 19 For Whom the Bell Tolls: III. Verdict on Pablo. a. 20 For Whom the Bell Tolls: III. Verdict on Pablo. b. 21 For Whom the Bell Tolls: III. Verdict on Pablo. c.
Om du tycker om Complete Music for Solo Guitar, berätta det gärna för dina vänner! Du kan snabbt och enkelt dela denna sida direkt på Facebook, Twitter och via e-post här nedanför.